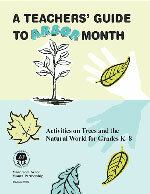 Description: This cross–curricular thematic guide is designed to easily integrate learning about trees into the regular K–8 school curriculum. It offers activities in language art, math, music, art, social studies, science, health, and physical education. It is also an ideal enhancement to your environmental education programs and can help you meet Minnesota graduation standards for environmental education. Description: This Minnesota-based project was developed by the Center for Global Environmental Education at Hamline University. Its purpose is to connect children, parents, educators, and scientists to study and celebrate frogs and their habitats. It offers classroom resources and activities as well as pages connecting students to the project. Description: Agriculture in the Classroom is a national program coordinated locally by the Minnesota Department of Agriculture. Its goal is to help students gain a greater awareness of the role of agriculture in the economy and society so they may become citizens who support wise agricultural policies. Minnesota program. EEK! Environmental Education for Teachers! Description: This website, produced by the Wisconsin Department of Natural Resources, includes educational resources and teaching pages for kids in grades 4–8. You’ll find instructional materials, action projects, multimedia pieces, and resource materials on a wide variety of natural resource topics. Description: Family Activities is a collection of activities from Project Learning Tree (PLT) for families to use while taking walks through your neighborhood, at the cabin, or on a camping trip. Description: The Firewise program offers workshops for high school educators to learn about the wildfire risk to homes in the wildland/urban interface. "Firewise Communities: Reducing the Risk of Wildfire" is a standards-based, collaborative school project in which students use Geographic Information Systems (GIS) and Global Positioning Systems (GPS) to identify local wildfire risk and educate their community about wildfire risk reduction. Schools can collaborate with the program to become a "Firewise School" and participate in field activities to monitor forests and to prevent fires. Description: GEMS (Great Explorations in Math and Science), OBIS (Outdoor Biology Instructional Strategies), and other natural resource education materials from the Lawrence Hall of Science offer high-quality, inquiry-based science activities. Description: Did you know Minnesota has no native earthworms? Invasive earthworms can damage forest ecology. This interactive curriculum helps students capture, identify, and study earthworms and their effects in the forest. Developed by the University of Minnesota and the Natural Resources Research Institute. Description: The Leopold Education Project is an innovative, interdisciplinary, critical thinking, conservation, and environmental education curriculum based on the classic writings of the renowned conservationist, Aldo Leopold. The Leopold Education Project teaches the public about humanity's ties to the natural environment in the effort to conserve and protect the earth's natural resources. Educator workshops and lesson plans are available. Description: This Minnesota DNR program introduces students to lake and stream ecology by teaching them how to fish. The curriculum guide looks at habitats and ecosystems, Minnesota fish, water stewardship, managing Minnesota resources, and fishing equipment and techniques. A variety of games, activities, and simulations are used to promote stewardship of Minnesota's aquatic habitats. Description: This unique bimonthly publication is written to engage, entertain, and educate its readers with a lively mix of photographs and stories about Minnesota's woods, water, and wildlife. A special section is designed with the young naturalist in mind. Young Naturalists stories can be downloaded in PDF and taught using the accompanying teacher's guide. Description: This project was developed by scientists and educators at the University of Minnesota to provide a solid background for understanding the ecology, behavior, and evolution of monarch butterflies. Educator workshops, curriculum, and support materials are available. Description: The Natural Inquirer is a middle school science education journal. Scientists report their research in journals, which enable scientists to share information with one another. This journal lets scientists share their research with middle school students. Each article tells about scientific research conducted by scientists in the USDA Forest Service. Description: Project Bluestem is a series of curricula focused on the tallgrass prairie and oak savanna patterned after Project Learning Tree. Educator workshops are available, or the curriculum can be purchased without training. Description: This resource uses the forest as a window on the world to increase students' understanding of our environment, stimulate critical and creative thinking, develop the ability to make informed decisions on environmental issues, and foster a commitment to take responsible action on behalf of the environment. Since 1976, PLT has been helping students learn how to think, not what to think, about the environment. PLT materials are only available to workshop participants. Minnesota PLT materials include an early childhood supplement, a PreK–8 activity guide, five secondary guides, and focused materials on fire, energy, and teaching techniques. Description: The mission of Project Wet is to reach children, parents, educators, and communities of the world with water education. This goal is accomplished through the use of resource guides that promote awareness, appreciation, knowledge, and stewardship of water resources. Project WET materials are only available to workshop participants. Minnesota Project WET materials include a K–12 guide, water quality guides and test kits, and focused materials on wetlands, watersheds, and water conservation. Description: SEEK is Minnesota's online environmental education clearinghouse. Find information on all environmental education curriculum, nature centers, and resources available in Minnesota. It is a website to bookmark and use often! SEEK also contains the environmental Scope & Sequence, A GreenPrint for Minnesota, and information on the graduation standards. A calendar of events lists items of interest to naturalists and classroom teachers. Description: Smokey says, "Only you can prevent wildfires." Visit the Smokey Bear website to find the Smokey Bear teacher's guide, activity book, kids’ poster, and other resources. Description: The Minnesota Historical Society developed this website full of mapping and GIS activities. Trace Minnesota's geography in terms of natural resources, landforms, ethnic communities, precipitation, roads and railways, and more. Activities are correlated to Minnesota Academic Standards in social studies.